Sylvia Ratcliffe, is the owner of The Cloth Castle, and she has always had a deep love and passion for the store and her customers. Sylvia and her family have been running it since 1969 (That’s 49 years!). Before the store became the Cloth Castle, it was called the Yarn Barn, which was started by Sylvia's mother-in-law, Ethyl. 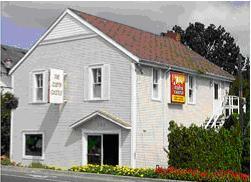 Sylvia, and her late husband Joe, inherited the store when Ethyl retired, and along with their four daughters, grew the business to four small locations around the greater Victoria area, and then in the mid 80’s they bought the building at 786 Goldstream and moved there where it has been ever since. The Cloth Castle is currently in its fourth generation of family employees, and with the birth of Sylvia’s great grandchildren her fifth generation of family staff is just around the corner! It is amazing to see the transformation of what the business used to be, what it is now, and where it is heading. With the addition of online sales, the store is always evolving, growing, and changing. The Cloth Castle prides ourselves on having one of the best selection of quilters' cottons in Greater Victoria and Vancouver Island and we are constantly growing our selections. Our bargain floor is extra special local favorite and is not to be missed, with quilt cottons as low as $5.00 a meter! In addition to the bargain floor, we have great daily specials, sewing machines, classes, notions, and “sew” much more! The Cloth Castle is also and avid supporter of the local quilt guilds, and the staff love to help new hobbyist, quilters, and “sewist” start on there creative textile journey! Well, we hope that gives you a little background on the Cloth Castle. If you have never been to the store, we would like to invite you to come, meet some great people, and stay awhile.